3. 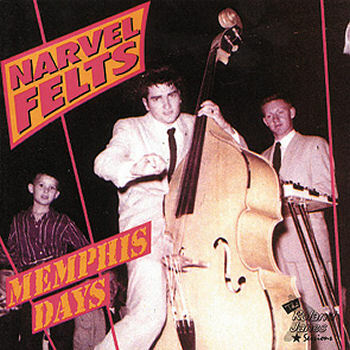 Felts, Narvel Blue Darlin' [unissued] uniss. 4. Felts, Narvel What You're Doing To Me [unissued] uniss. 5. Felts, Narvel Sad And Blue [unissued] uniss. 6. Felts, Narvel She's In Your Heart To Stay [unissued] uniss. 7. Felts, Narvel Return [unissued] uniss. 9. Felts, Narvel Love Is Gone [unissued] uniss. 10. Felts, Narvel Tear Down The Wall [unissued] uniss. 12. Felts, Narvel Come What May [unissued] uniss. 15. Felts, Narvel Mr. Pawnshop Broker [unissued] uniss. 18. Felts, Narvel I Had A Girl [unissued] uniss. 19. Felts, Narvel Slippin' And Slidin' [unissued] uniss. 22. Felts, Narvel Get On The Right Track, Baby [unissued] uniss. 26. Felts, Narvel One Man At A Table [unissued] uniss.